While not an actual “spiral,” many of the brilliant principles behind an herb spiral are present in this bucket-based garden tower. 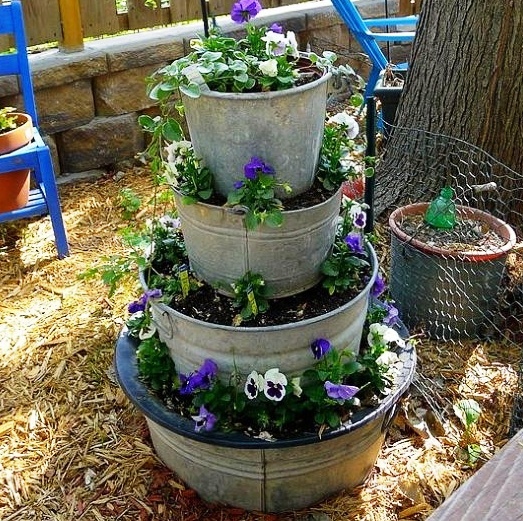 From Lori J on HomeTalk, this is the bucket tower. It’s three-dimentional growing at its best. Like an herb spiral, the garden tower is packed with tiny microclimates. For example, the top buckets tend to be drier and the bottom buckets tend to gather more moisture because of all the water traveling down from above. It’s the best kind of trickle-down economics! You’ve also got variations in sunlight and shade, just as with an herb spiral. The north side will be shadier and cooler, while the south side sunnier. Switch “north” with “south” if you’re one of our few southern hemisphere readers. Lori didn’t build her entire tower in one season, she’s adding on a bit each year. That’s another benefit of the bucket tower, you can put it in all on a single day, or spread out its construction over several growing seasons. Picking the right buckets is important, you’ll want large washbin-sized buckets at the base and smaller ice-sized buckets at the summit. Make sure to drill holes in each tier so water can drain through so your plants won’t drown. If you drill closer to the bucket edge, the plants on the tier directly below will get more of the runoff. You can see more of Lori’s pictures of the tower on HomeTalk.com. She’s got more than just this bucket idea on display. Herbs are the best place to start for anyone getting into gardening, and herb spirals are one of the best methods to grow herbs if you have the space to put one in. 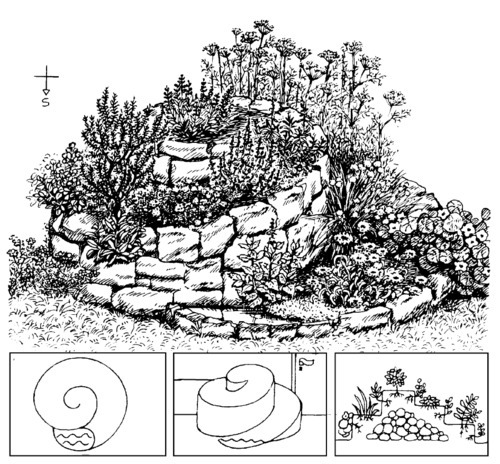 While a bucket based herb garden is a quicker set up, and possible to move later, building an earthen herb spiral has its own list of advantages. Unlike a bucket herb garden, a proper herb spiral has sloped ground, which adds additional microclimates, and bricks to help absorb heat. It’s also cheaper, unless you have to buy the bricks. Most notably, many herb spirals end in a small pond which adds an entire aquatic element to an herb spiral, making it one of the most biodiverse structures you can imagine putting in a back yard. I’m an herb spiral enthusiast, but that doesn’t mean I’m an expert on them. 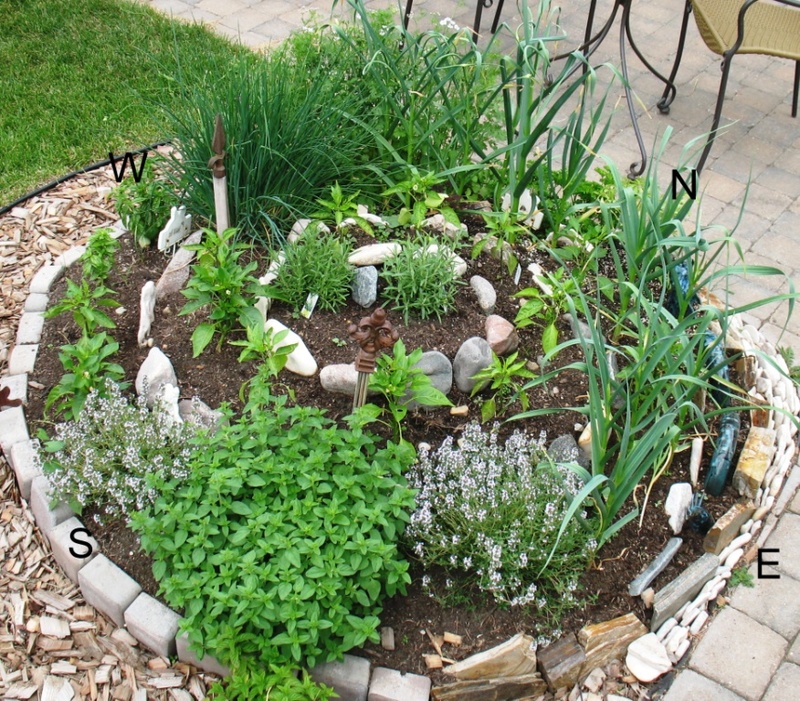 So for more about building your own herb spiral, try this video.